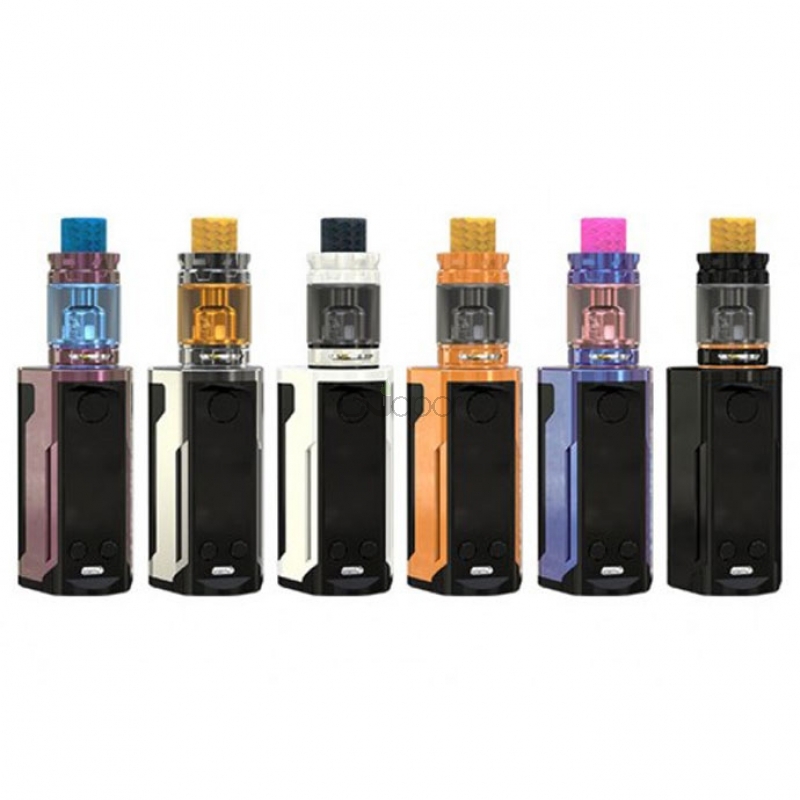 Wismec Reuleaux RX GEN3 Dual Kit is powered by dual replaceable 18650 cells which can fires up to 230W max output. 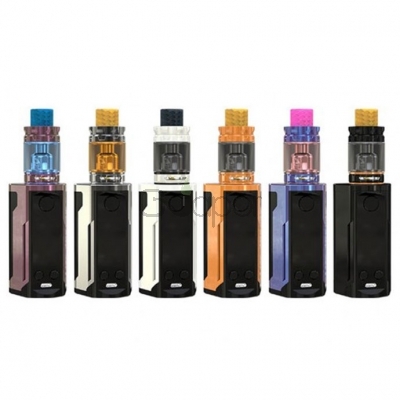 Featuring smaller, lighter yet more ergonomic, but more compact and portable than previous box mods. 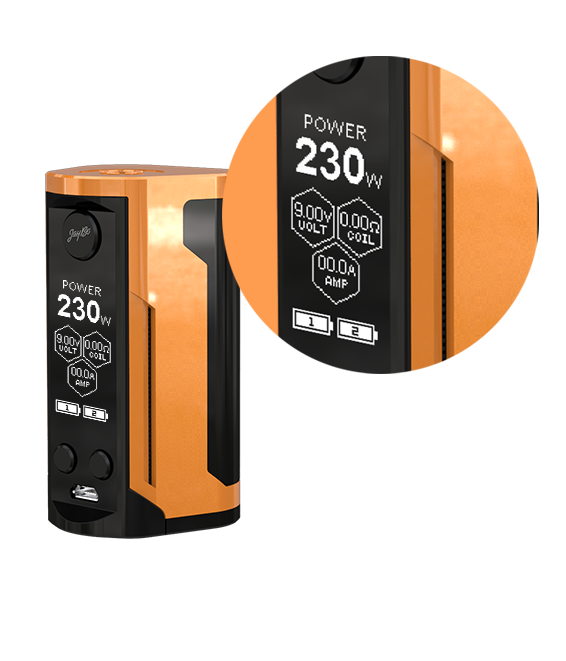 Wismec Reuleaux RX GEN3 Dual Mod applies battery balance charge system and has 2A quick charge capability. 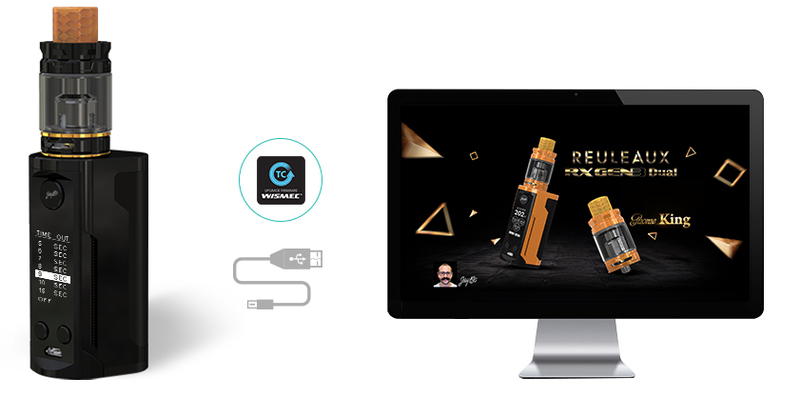 The GNOME King Atomizer has 5.8ml e-juice capacity which is also able to produce large vapor and intense flavor with updated WM01 coil. Retractable top filling solution and convenient bottom airflow control are available.